One person has suffered minor injuries in a wild two-car crash in Boston's Chinatown. 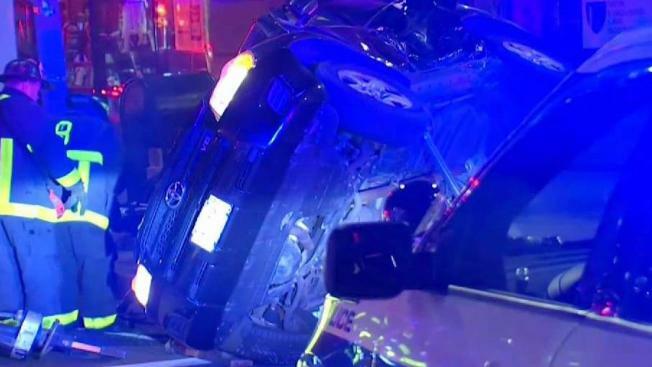 The first car hit a traffic light before ending up on its side, and the second car hit an electrical box, which went through the window of the Tufts University bookstore. Authorities responded to the scene early Monday morning at Harrison Avenue and Kneeland Street.